In 2018, the international baking industry will be dominated by iba. The world’s leading trade fair for bakery, confectionery and snacks will take place at Fairground Munich from 15 – 20 September 2018. As a premier platform, it offers an unparalleled market overview in twelve halls with all the latest innovations and products of the industry. Virtual bakery tours, a central topic for the to-go market and a speaker’s corner are exciting innovations that visitors can look forward to. New legal regulations such as the receipt issuance obligation in Germany from 2020 or the Novel Food Regulation, which now allows the use of mealworm flour in Germany since January 2018, the changing eating habits of consumers and the use of digital solutions or the demand for sustainable packaging: The baking industry is facing big challenges. In addition to the iba.FORUM in Hall B3, the new speaker’s corner in Hall B5 offers comprehensive orientation. There, visitors can exchange ideas with leading experts on interesting topics from science to applying it in practice and get a prospect on upcoming trends. iba also offers its visitors a new digital service. Through the online marketplace, visitors can prepare themselves better for their specific needs before the fair and have a better overview and thus orientation on site. Thanks to the new search option for “solution approaches”, you can quickly find, for example, innovative snack solutions, digitisation, energy efficiency or raw materials that will be exhibited at iba. Additionally, visitors have the opportunity to contact the exhibitors directly and arrange appointments with them. Further information is available at www.marktplatz.iba.de/en. Also new is the topic area “iba.TO GO!” in Hall B3. For the first time, iba is combining innovations and solutions for snack and beverage concepts for baking traders at a central contact point. There, the entire process chain of snacks is presented – from ingredients and preparation, through to sustainable packaging solutions to logistics and shop design, rounded off with many workshops and displays. The trend topic coffee is also discussed in detail by experts, starting with the coffee bean, roasting and grinding, to machines and serving coffee in china or to-go cups with a deposit system. With “iba.OPERATE!”, packaging solutions and processes are shown in Hall B1. 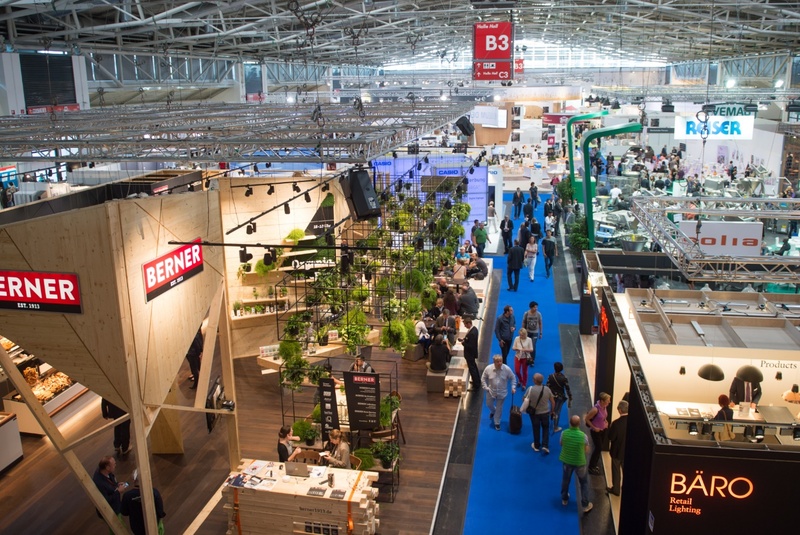 “Medium-sized companies, large bakeries, manufacturers of dough and the food retail industry, iba offers a market overview in this area, which has never been seen before at this fair,” says Claudia Weidner, project manager of iba. Intelligent and environmentally-friendly packaging, food safety and process optimisation solutions will be presented; of course, live in action. At iba, a multimedia experience show in Hall B3 will premiere. 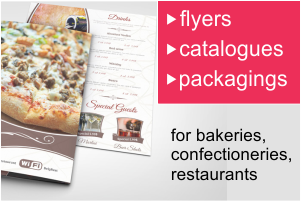 From Munich, visitors can have a look at the top bakeries on a national and international level. With the help of virtual reality glasses and 360-degree videos, you will be able to see right into renowned master bakeries from Germany, Greece, Iceland, Austria, Japan or the USA directly at the fair. Here, trade visitors experience first-hand what makes their colleagues across the border successful. The experiential programme in Hall B3 will be complemented by the appearance of renowned industry stars in live competitions at the “iba.FORUM”. Highlights include the world-renowned iba-UIBC-CUP, an international championship in which bakers from twelve countries compete against each other. In 2018, for the first time, the best young confectioners in the world will compete in the UIBC Junior World Championships in Munich. Directly at the exhibition in Hall B3, iba is offering international visitors new backing workshops in English. Under expert guidance, visitors will learn how to make German classics hands-on. Be it pretzels or cheesecake – the experts of the Akademie Deutsches Bäckerhandwerk will reveal all their important success secrets twice a day. The number of participants per seminar is limited to 20 people. Tickets can be booked from April onwards at www.iba.de/academy for € 95. Furthermore, the opportunity to take part in free tours of bakeries in and around Munich and exclusive courses at Akademie Lochham. Here, international visitors can learn more about the preparation of wholemeal and mixed bread, the two favourite bread types of the Germans. For visitors and exhibitors to be able to exchange views in a relaxed atmosphere after the fair, the iba Oktoberfest tent will also be on the exhibition grounds. This year, Wiesn-Wirt Able will take care of the guests and thus ensures a relaxing end with the original Bavarian Oktoberfest atmosphere – of course with a brass band and traditional specialties.